The pink coconut burfi of Bharat Sweets is to die for. It has been a family favourite for generations and the quality and taste are uncompromised till date. You can also try their range of fried snacks which are also prepared in pure desi ghee. 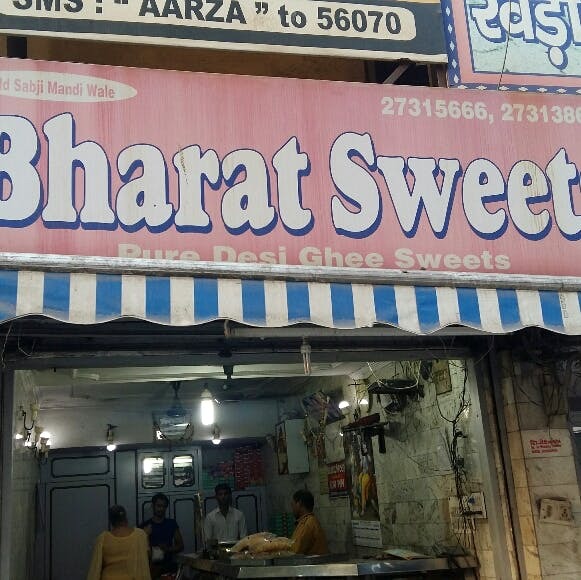 After legendary Chaina Ram of Chandni Chowk, if any Karachi Halwa deserves a mouthful it is that of Bharat Sweets. Both delicacies look simple and give organic feels and have the pure desi ghee quantities in their preparations from our grandparents time. They must work on the appearance of their delicacy houses. They are too dingy and small to be noticed. No parking is available around this branch. They have several other branches which you can choose according to your convenience. And not to forget, their prices won't burn a hole in your pocket despite their reputation and taste. Every sweet is under INR 550/kg.